You have a magic formula for player development. 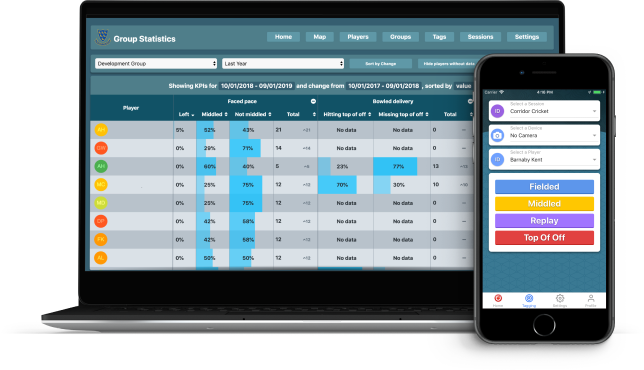 Pathways lets you define the key indicators or ‘tags’ that you want to capture and measure across all your players. Our unique nested structure means you can define the indicators at different levels of detail. Everything captured will be data you want. Capturing data can be hard. It’s fine if you have a dedicated analyst but isn’t possible at every match and every training session. Pathways lets you capture data on a mobile. You send a simple invite to the coach and they are ready to start capturing in our intuitive interface that provides the tags and players you have specified. Even better, as soon as they start capturing you can view it in realtime, anywhere in the world. Pathways makes video capture automatic and no extra effort. You can use either the camera on the smartphone or tablet or automatically connect to a My Action Replay camera. The video is automatically indexed and available on the players’ profile immediately. Developing along the Pathway to become a sports person is tough. Pathways provides players and their support network with an instant view of where they are on the path and their data. By using Pathways your players can also see where they fit in your sports organisation and see how others have moved along the path before them.